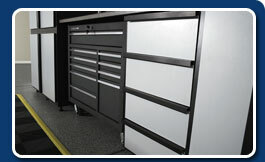 perfect accessory for your Slide-Lok garage. Featuring 10 drawers on smooth ball bearing slides with heavy duty swivel casters and double walled and welded 18 gauge steel construction. 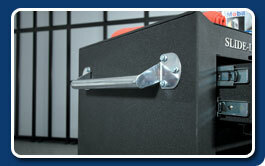 The Slide-Lok Metal Storage Chest is designed to handle just about anything. The Slide-Lok Metal Storage Chest is offered in a durable black powder coated finish with silver drawer handles. Whether you pair it with the all new Tech Series line, the elegant Red Alder finish or the more traditional Natural Maple or White finishes, the Slide-Lok Metal Storage Chest is the perfect complement to your Slide-Lok Garage.